A common source of regret for many of us is that we didn’t spend more time listening to the life stories of older relatives while they were still around – but a Bromsgrove business has launched a service enabling treasured memories to be recorded for posterity. “Your Life” was the idea of Paul Larner, who runs a staging and events company and is often asked to create presentations of photographs and music for use at funerals or memorial services. “Following the death of my own father, I soon realised that my most treasured possession was a very brief and poor quality cassette tape of him telling a humorous anecdote to his elder brother – I still play it constantly,” says Paul. With Paul’s mother now in her late 80s, he wanted to make a permanent record of her life story, including an audio recording of her telling the tale in her own words. He then produced a book with photographs, and decided this was a valuable service he could offer to others. 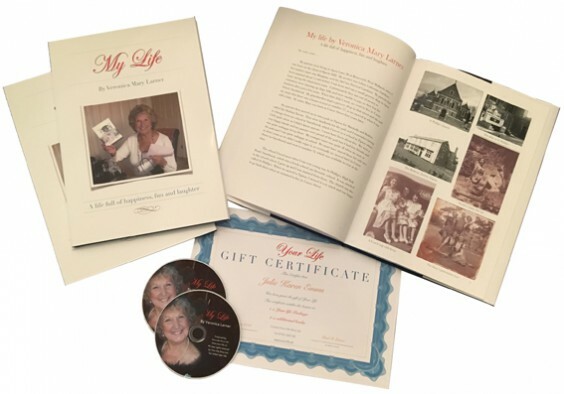 The “Your Life” package can be given as a special gift to a loved one, or purchasers may decide to record their own life story. The process begins with a very relaxed and informal interview in the comfort of your own home, carried out by an experienced, CRB-accredited biographer and recorded for your family and future generations to keep. The interview is structured more like a conversation with select questions that help capture the detail and highlights of your life story. It is then transcribed into a high-quality hardbound book of text and photographs, while the audio recording of the interview appears as a CD in the back of the book. Both the text and audio content will be loaded on to a memory stick so they can be viewed on a laptop or tablet. The “Your Life” package can be given as a perfect gift for parents, grandparents, relatives and friends, with a personalised gift certificate. However, the subject could also give their life story as a gift to their children, grandchildren and future generations. Clients can choose to upgrade the audio recording to a video DVD to capture their full personality. The company also offers a memorial package option, with an animated history of images depicting the essence of your life story set to a music track of your choice for use at a funeral or memorial service, for when that unfortunate time comes.